6'3" (1.9m) 220 lb. 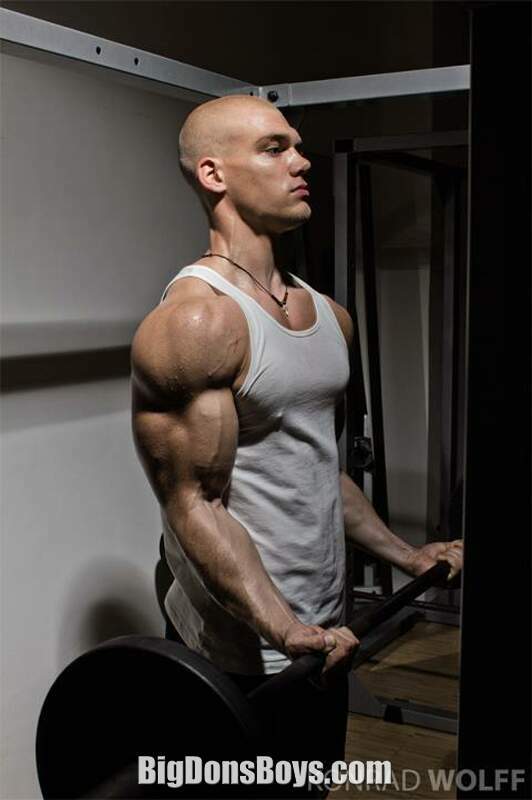 (100kg) Mischa Janiec is a personal trainer in Switzerland who looks just spectacular. 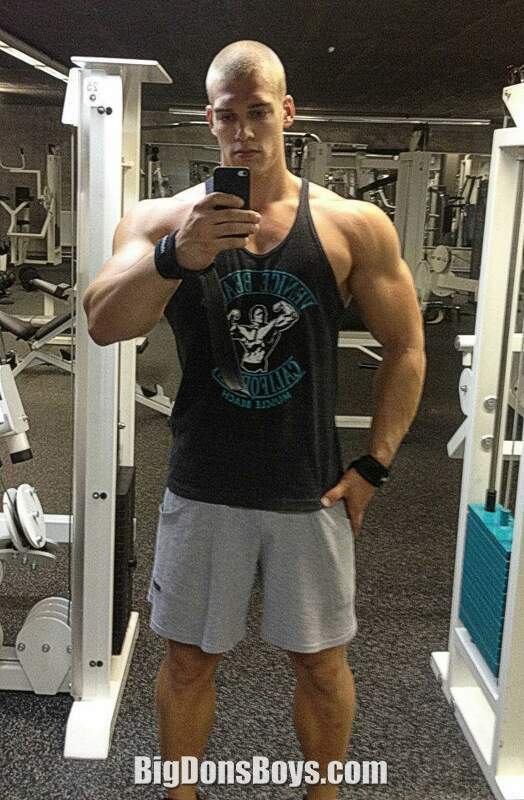 In 2011 when he was twenty years old he was the Swiss champion in the junior class at the Supernatural Body and Fitness Organization contest but only a few years earlier he was in terrible shape. When he was 17 he was lazy and partied a lot, then had bad back pain. The doctor told him he had scoliosis, curvature of the spine. So he began working out and never looked back and in two years has turned into a superman. 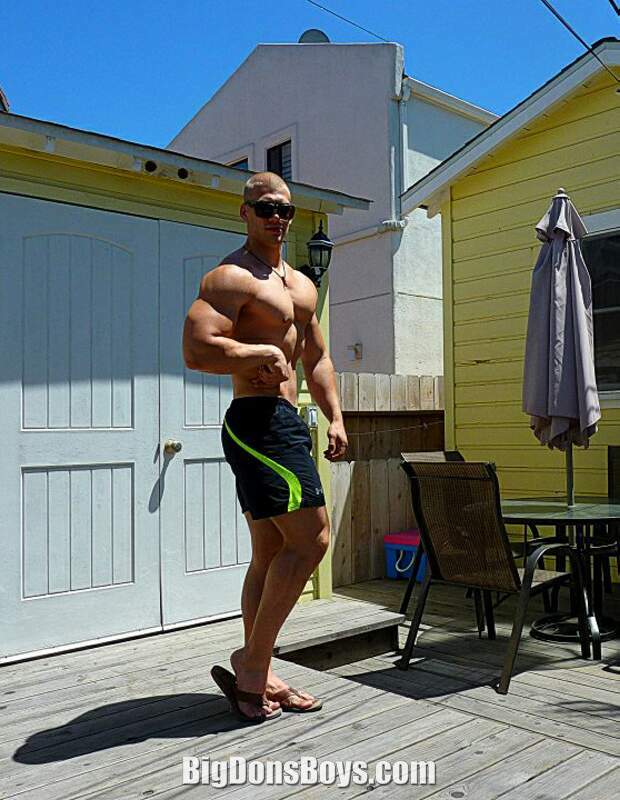 His father was also a competitive bodybuilder and his genes have definitely made a difference. Mischa's favorite exercises are squats and military press. My favorite exercise is not exercising. 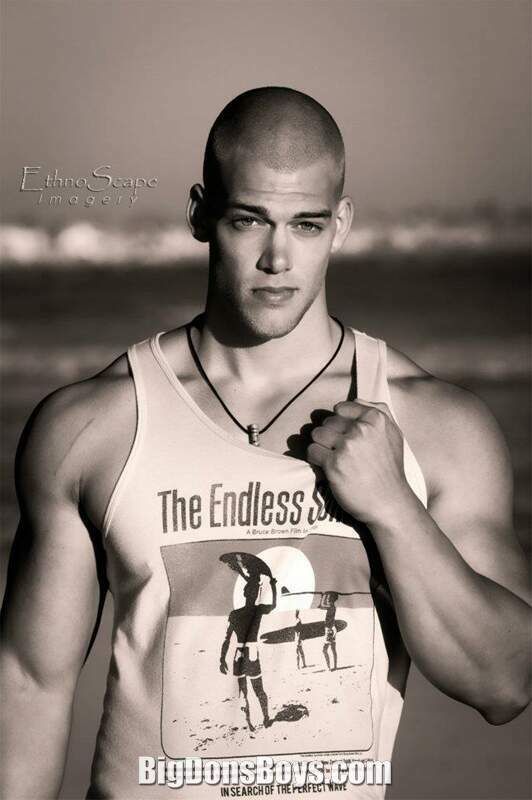 On Modelmayhem.com he writes "I am a young, motivated fitness model & natural bodybuilder from Switzerland. I'm half Swiss, half Polish. My goal is, to become a well known fitness model in the US, in the next few years. I'm not like as the usual fitness model guys in the scene. I want to bring my own special "raw" look in the scene, like a real men, and not the sweet boy with the "wet hair look". I like to train really hard, I'm not ashamed to go on my limits, even if i have to scream. Maybe there are some agents, the like to do a workout video with me, that would be a big thing for me! Also i like to shoot with talented photographers around the world. " Mischa’s main goal is to inspire people all around the world. He wants to show everybody what is possible with dedication and hard work. If you want to get trained and consulted by Mischa contact him at the website link below and sign up for one of the valuable training packages. Mischa guarantees to give every single client individual advice and customize their training schedules and meal plans. His website is very attractive and well done but it is in German, so I translated parts of it for this page. Mischa has merely 14 percent body fat making him look only like a magnificent sculpture. Will he diet down to the freaky levels of low fat that bodybuilding contests for some reason demand? Or will he choose to stay the same and merely remain the hottest short haired White boy on the planet? 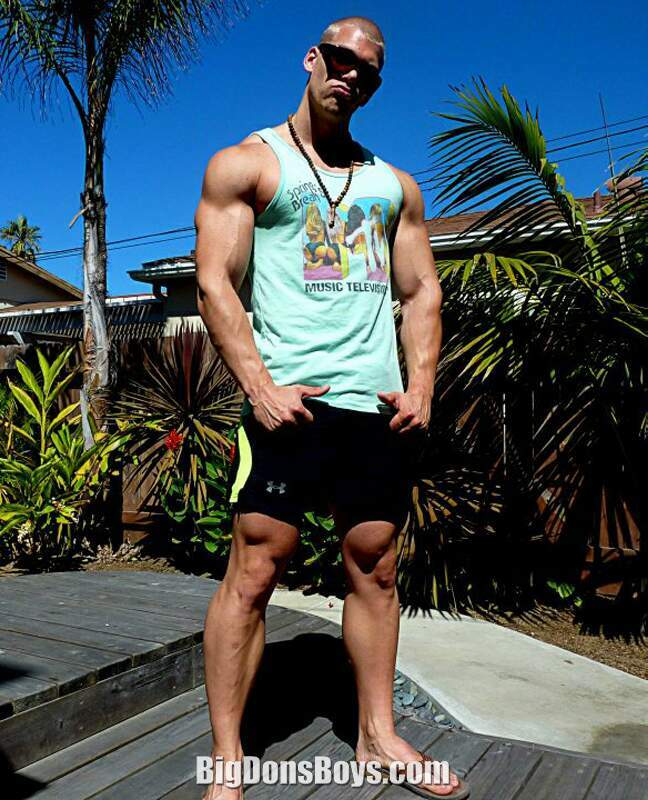 His coach Nicolas Rojas is also a competitive bodybuilder. But he is short. Therefore I must ignore him!